All autograph collectors, especially those who collect only through the mail, know how unique spring training is. Everything is more relaxed. 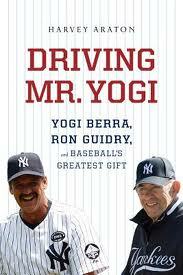 Driving Mister Yogi: Yogi Berra, Ron Guidry and Baseball’s Greatest Gift, by Harvey Araton. Why have you decided to sit on such a potential classic until the regular season begins? (I’d guess someone in marketing was afraid of competing with NCAA basketball ‘March Madness.’ Confess. Get your blushing done now. The laughter from shocked readers should subside soon. Our sympathies go to Mr. Araton, one all-star journalist. As you are ignoring the reading public and countless early sales, here’s the 2011 article that inspired the book to help us pass the time. Next time, please ask. You know where to find us! Coming Friday: A great gift to collectors for spring training!